The Verizon Wireless Center in Mankato was the site for the inaugural Minnesota Mission of Mercy (MnMoM) event, held August 17-18, 2012. The goals were simple: treat 2,000 patients and deliver $1,000,000 in dentistry with the help of 1,000 dental volunteer professionals. Patterson Dental, a key sponsor both nationally as well as in the local markets MoM serves, was well represented by employee-volunteers and in-kind supply donations ($9,000 worth). Funding for this great event was also generously supported by a grant provided by the Patterson Foundation. 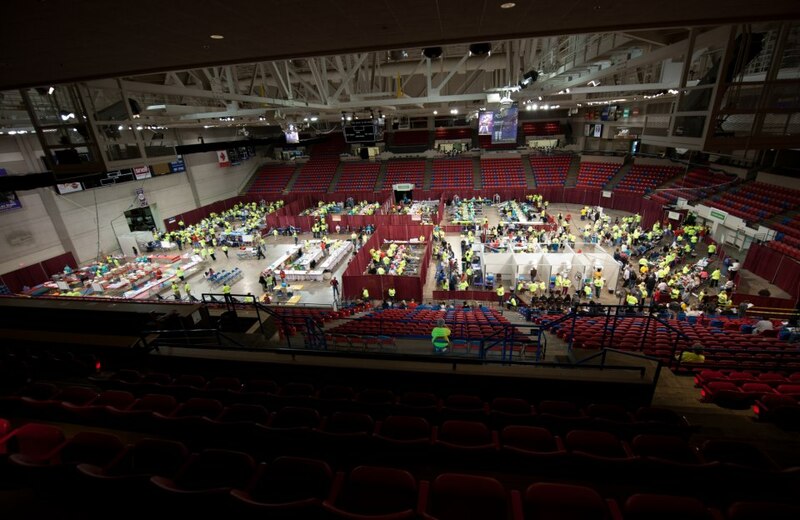 This first-ever two day event, providing free dental care to those in need, worked in conjunction with the Minnesota Dental Association and the Minnesota Dental Foundation in turning a 5,000 seat hockey arena into a 110 operatory dental clinic. Setup began Thursday morning. Six X-ray bays were constructed and the specific treatment areas (including anesthetic, oral surgery, hygiene/cleaning, dental triage, endodontics, pedodontics, central supply, lab and sterilization) began to take shape. PVC plumbing was sized and cut for the vacuum lines and all the tubings for air were run to all 120 treatment chairs. Three of our local Patterson technicians – Tim Roberts, John Dreher and Bruce Wittenberg – were instrumental in ensuring assembly went together with organization and efficiency. Friday morning at 5:00 a.m. the doors opened and in came the first patient, “Sam” from LaCrosse, Wisconsin. He had camped out since Thursday night at 10:00 p.m. in an effort to be able to get a badly needed partial made due to displacement of both laterals. What he didn’t know when he decided to be the first in line (which had grown to 200-300 people deep) was that he would earn celebrity-like status as MnMoM’s first-ever patient. He returned to the center later that afternoon to pick up his partial denture and was included in many photos. Throughout the first clinic day, treatments were carefully coordinated and performed. 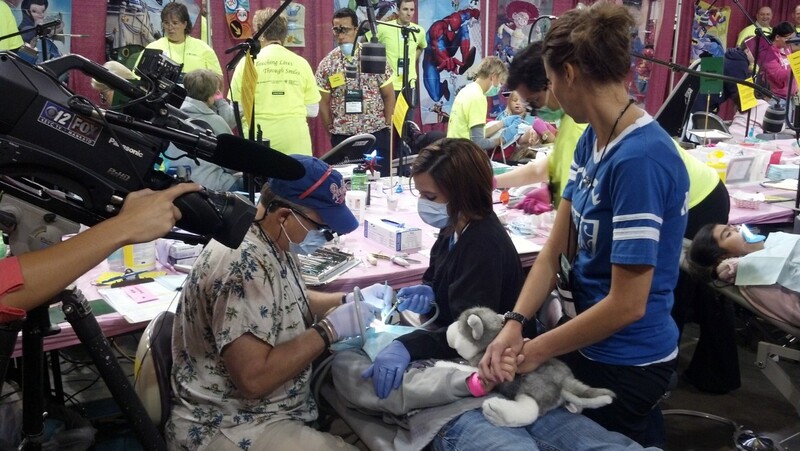 By noon, 700 patients had already been through dental triage and the atmosphere was filled with excitement and a genuine, sincere and heartfelt emotion that could only come from such an event. Many of the patients came by foot, bicycle and car. But many more came by bus from outstate areas where access to care is so challenged. The treatment arena was filled with media from local TV and newspaper outlets, as well as all three TV networks from the Twin Cities. Patients and volunteers were interviewed and the overwhelming gratitude was most outspoken. At the completion of this first treatment day, which ended at 5:00 p.m., the treated patient totals had risen to 930. The many volunteers ate dinner and retired quite early as Day 2 of clinic would come bright and early at 4:30 a.m. on Saturday. The Patterson Minnesota Branch was well represented on Day 1 with 10 employees working many different departments, from patient greeting and patient escorting to dental assisting, sanitation and central supply. On the second treatment day, 14 additional employees from the Minnesota Branch were again onsite to lend their services and talents. The flow of the clinic was in full swing now as patients moved through triage and treatment efficiently, as though the clinic had been in operation for 18 years instead of just 18 hours. Dan, congratulations on a successful first event! Once you start, you can’t stop. The ability to directly affect people’s lives in such a profound way through the gift of smiles. 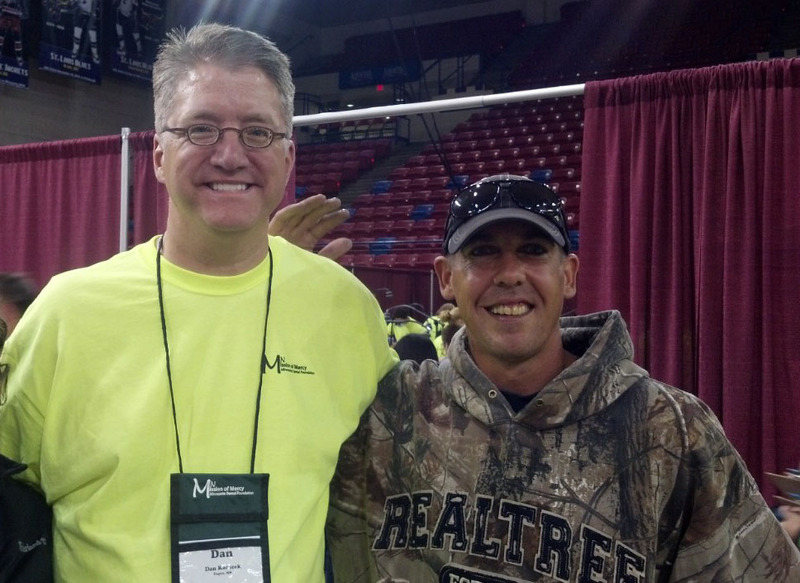 I’m very happy to hear Minnesota Branch played such a major role in the event, and thank you for getting your staff very involved.